Growing up in a religious home in East Tennessee brothers Steve and Kreis French started publicly performing the way that many contemporary Christian groups do - through their churches. 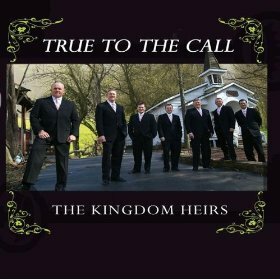 Looking for a vehicle for their musical ministry they founded The Kingdom Heirs in 1981. They settled on a quartet of singers with Steve French singing baritone, Eric Bennett singing bass, David Sutton singing tenor, and Arthur Rice on lead, Kreis French on bass, Dennis Murphy on drums and keyboardist Jeff Stice. 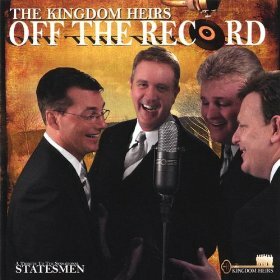 They began performing regionally and did very well on the Southern contemporary gospel circuit, performing at ~Silver Dollar City (which would later become ~Dollywood) and through the release of their debut, Just Arrived, on Morada in 1982. Becoming resident performers at Dollywood, and their release of Steppin' on the Bright Side on Arrival greatly increased their national audience in 1986. That was followed by the release of seven records on Sonlite over the next five years, including Forever Gold (1995), Christian Family (1996), Anchored (1997), My Father Is Rich (1997), The Journey Home (1999), A Christmas of Celebration (1999), and City of Light (2000). 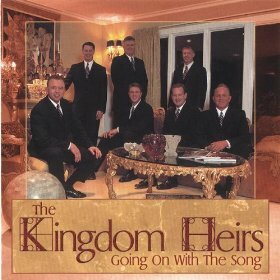 The Kingdom Heirs have been nominated many times for industry awards such as The SGMA Awards, Dove Awards and The Singing News Fan Awards. Winning Newcomer Group of the Year in 1989, the group has been a constant favorite. The latest award was 2006 Band of the Year, which the band also won in 2002, 2004 and 2005. They have also had many top ten songs, and currently have had 12 top 5 songs in a row, including their big number #1 songs, “I Know I’m Going There and Forever Changed." Over the past years they have had 18 songs nominated for Song of the Year. 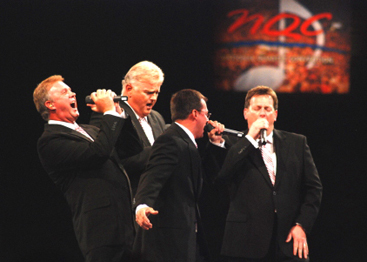 With a nine-month schedule performing to over two million people a year at Dollywood, the group also tours for eight weeks, January through March. Their latest recordings include True To The Call, Off The Record, Give Me The Mountain and White Christmas. They also have a new DVD, “Live at The Palace."